3.2 billion people live in areas of risk for malaria disease transmission. Malaria is a mosquito-borne, hemolytic, febrile illness that infects over 350-500 million people and kills more than 1 million people per year. Traditionally, malaria infection was diagnosed via a thick smear microscopic test. 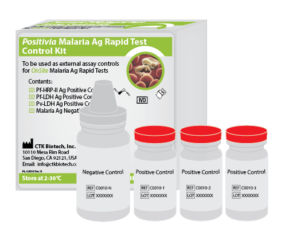 With the advance of medical technology, it is now diagnosed by the detection of malaria parasite antigen or antibodies in patient blood specimens. 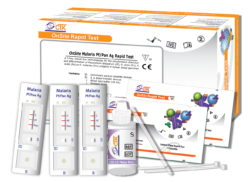 Malaria Ag tests are used to detect active infections and monitor anti-malarial treatment, and malaria Ab tests are used to screen blood donors in many countries and as surveillance tests for global malaria control programs.